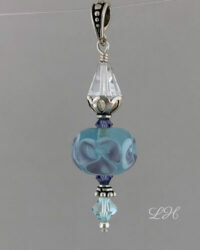 This bead was created in my studio using glass rods and melting it in a torch to form a shape. 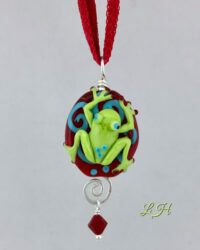 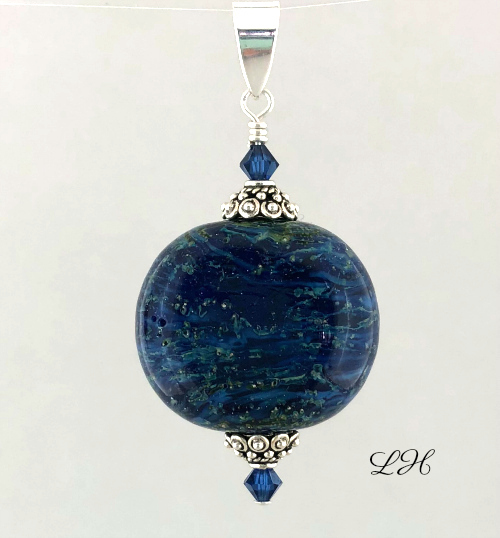 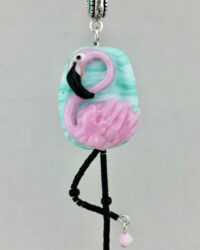 The bead has fine silver melted into the glass to give it an organic look. 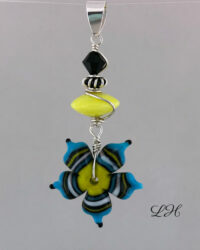 It is finished in sterling silver and swarovski crystals.